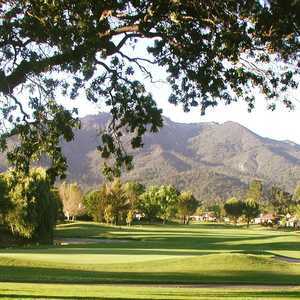 Public Sonoma Mission Inn Golf and Country Club: Spectacular golf - and value! In the past, anyone visiting the wine country in Northern California would target the Sonoma Mission Inn and Spa as a resort location that provided access to the area's wineries and the many great golf courses that litter the Napa Valley. 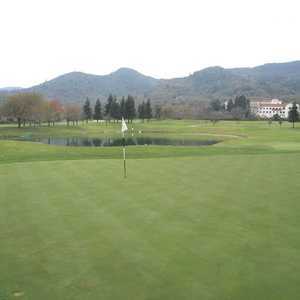 One of those courses sought out by locals and visitors alike was the Sonoma Golf Club, located one mile from the Sonoma Mission Inn. Its plush surroundings and challenging design made it a must-play for anyone visiting the area, and a very popular selection for anyone living within two hours of Sonoma. Recently, the Sonoma Mission Inn purchased the Sonoma Golf Club and what resulted is the ultimate in travel destinations in Northern California: the Sonoma Mission Inn Golf and Country Club. Just forty-five minutes north of San Francisco, the Sonoma Mission Inn Golf and Country Club is one of the most spectacular courses open to the public in the country. And considering its price, Sonoma could very well provide the best golf value you will ever find. To get this type of quality golf in other areas, you are looking at spending anywhere from $100 to $150. However, green fees at Sonoma never top $75 and always include a cart. Twilight rates are much lower and you can still finish a full round. No matter which way you slice it, you will not find a better bang for your buck than at Sonoma, whether you're visiting for the day or staying for an extended period of time at the Sonoma Mission Inn. From the moment you drive up to the course, you can tell you are in for a top-notch golf experience. A gorgeous clubhouse welcomes you to the course, and a full practice facility awaits, including a driving range and huge putting green. The pro shop is well-equipped with anything you could possibly need, and the staff is both knowledgeable and helpful. Head golf professional August Thompson has created an environment that makes everyone feel welcome, no matter if you play once a week or once a year. The first tee and the 18th green sit adjacent to the clubhouse, and they give a very good indication of what to expect from the other 16 holes out on the course. You can tell that the course is kept in pristine condition, and that nothing will be easy once you get your round under way. The course is long enough to provide a challenge for even the longest hitters, but isn't so long that you can't enjoy your round. There are four sets of tees (Blacks - 7,087 yards; Blues -- 6637 yards; Whites - 6,123 yards; Reds - 5,511 yards) and no matter which set you decide to play, you're in for a serious test of your golf ability. Every hole has a challenging set of circumstances that you must overcome in order to survive your round. Each fairway has sand traps in the landing area, and each green is surrounded by bunkers that make golfers think twice about their approach shots. The greens are deceptively fast and have subtle breaks that will no doubt leave you scratching your head. The first hole, a short par-4, is a challenge from tee to green. It measures 340 yards from the whites and 302 yards from the reds, but its demanding layout more than makes up for its lack of distance. A huge oak tree sits approximately 100 yards away from the tee, on the left side of the fairway. The tree's location will force many golfers to favor the right side of the fairway with their tee shot, but a sand trap lurks in the landing area on the right, just waiting to snag your ball. Three small bunkers guard the left side while one large bunker sits to the right of this very deep green. Once you get on the putting surface, if you misjudge the speed of the putt, you could end up hitting the ball entirely off the green. The fourth hole is the first par-3 you encounter at Sonoma, and it is just long enough (163 yards from the whites, 140 yards from the reds) that you cannot simply assume that you will be able to land your tee shot onto the green. The green is also much deeper than it appears from the tee, and if you don't pay attention to the placement of the pin when selecting your club, you could end up short of the green or over the back. Even if you do land on the green, you could still have a marathon putt to finish out the hole. The par-5 eighth hole is one of the most enjoyable, and most challenging holes on the course. It's a long, downhill dogleg left (551 yards from the whites, 498 yards from the reds) that begins with a blind tee shot. A well-placed drive will still leave you with a very long second shot, and most likely you will be hitting from a downhill lie. If you can make good contact with a fairway wood, you could possibly reach this monster in two shots, but chances are very good you will be forced to lay up and hit a wedge into the green. The green is guarded well by sand traps and is also very deep. Inaccuracy when approaching this green could lead to a disastrous score. The back nine continues with a series of very difficult holes. The eleventh is a relatively short par-4 (302 yards from the whites, 272 yards from the blues) but it plays much longer as it is uphill all the way to the green. On each side of the fairway, sand traps have been placed in the landing area, inviting errant tee shots. The situation worsens as you approach the green, as four more traps guard the front of the green. If you don't compensate for hitting uphill, you will definitely end up at the beach and could possibly need more than one shot to get onto this multi-tiered green. There's no such thing as an easy two-putt on this green, especially if you place your shot on the wrong portion of the putting surface. The 15th hole is another par-4 that, while not appearing to be incredibly long from the tee (376 from the whites, 347 from the reds), derives its difficulty from the design. It's an uphill dogleg right, with trees on the right side of dogleg. If you end up on the wrong side of this green, you will lose your ball in the weeds. If you don't have enough distance off the tee, you will never be able to reach the green in two shots and will waste a shot just getting to yet another guarded green. The tee shot is by far the most important shot on this hole, as it will determine your course of action for the rest of the hole. The final hole, whose green is visible from the clubhouse when you first walk up to the course, is a perfect ending to a perfect round of golf. Again, its distance will not intimidate anyone (351 yards from the whites, 322 yards from the reds), but perhaps more so than anywhere else on the course, accuracy is a must. A sand trap sits in the middle of the fairway where most tee shots will land. A long hitter can go over the trap, and you can go left and still be in good position, but another tree sits to the left side of the fairway and could interfere with your approach shot. A creek runs directly in front of this green, and if you miss the green short, you will most likely end up wet. If you try to approach from the wrong angle, your ball will come into contact with one of the many oaks that create a natural shelter for the green and you could still end up in the creek. Many will overcompensate and hit their approach long, but sand traps surround this green. A ridge runs through the middle of the green, forcing you to think twice when hitting your putt. As you come off the 18th green, you will no doubt be worn out from the trying round of golf you just completed. 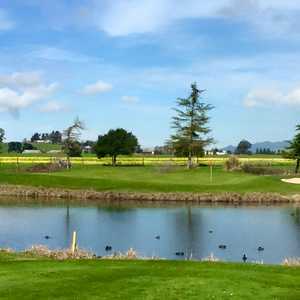 But when you consider the great condition of the course, the beautiful surroundings of the Napa Valley, and the overall enjoyment of the round, you can't possibly be anything but content with your day of golf, even if you shot a high number. Without a doubt, the Sonoma Mission Inn Golf and Country Club should be considered one of the most desirable golf destinations for all types of travelers. It has something for golfers of all ability levels and will continue to attract large crowds as its reputation grows.